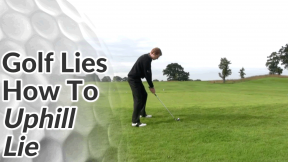 To many golfers, their ball has to be resting on a severe incline or decline before they think of it as a sloping lie. 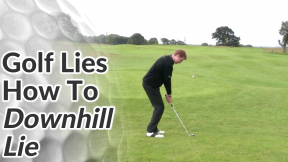 But much more subtle slopes can affect the strike and flight of the ball. 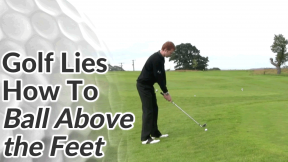 A ball that is lying about your feet will turn to draw or hook in its flight. There’s also a greater chance that heel of the clubhead will catch the ground first, reducing the quality of the strike. 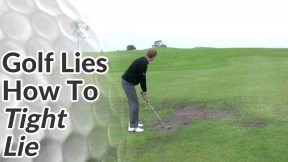 There are a number of things to consider when the ball is sitting on a slope that puts it above your feet. Firstly, the golf ball is, in effect, closer to you – so reduce any knee flex and stand up tall to help counteract this. 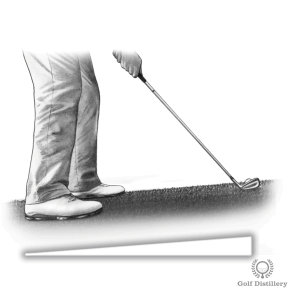 Grip down the club towards the bottom of the grip itself. This will further counteract the fact that the ball is closer to you. 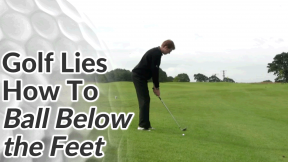 When the ball is lying above your feet the angle of the club shaft at address is going to be flatter than usual. 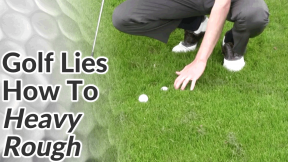 That means your swing path will be flatter than usual and there’s a tendency to draw or hook the ball. 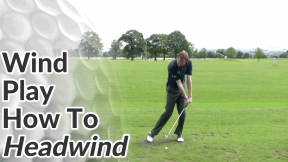 Compensate for this in your set up by aiming to the right of your target (left for the left-handed golfer). It’s a good idea to club up when on a slope. 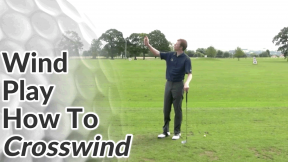 This allows you to make a nice, easy swing, which will help with your balance.